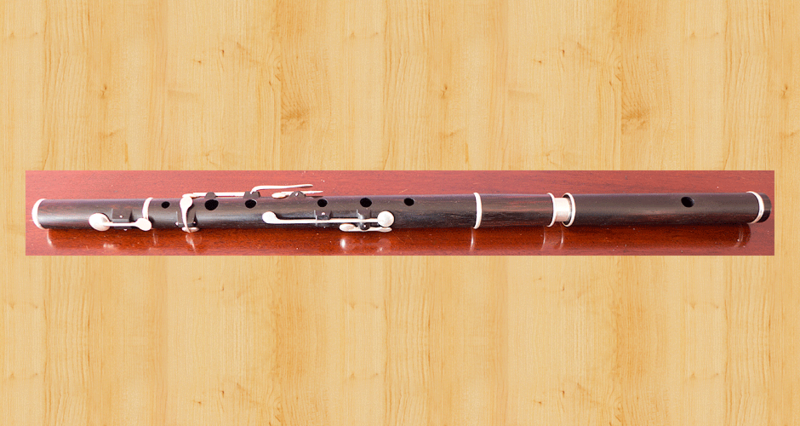 Simple system wooden flutes renowned for their ease of playing and quality of tone. 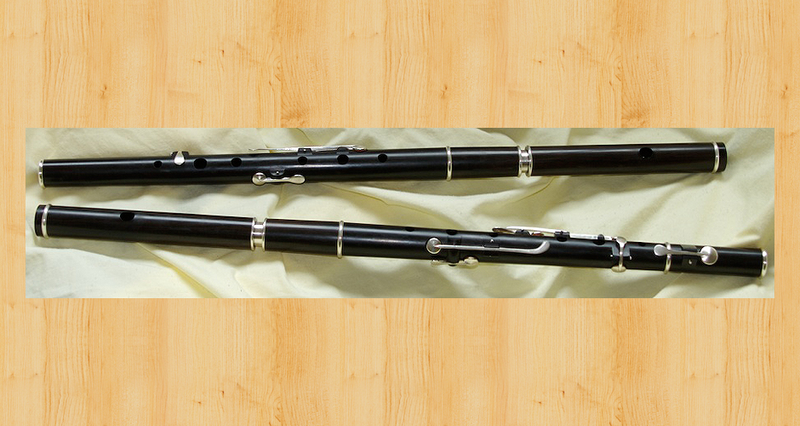 The keys on Martin Doyle's keyed flutes are block mounted on the same style of body as his traditional flutes – tapered with traditional straight lines (see images below). Martin Doyle's keyed flutes are made to order with either three, four, five, six, eight or nine keys. All ferrules, keys and tuning slides are made from sterling silver and are hand-crafted by Martin Doyle in his workshop. 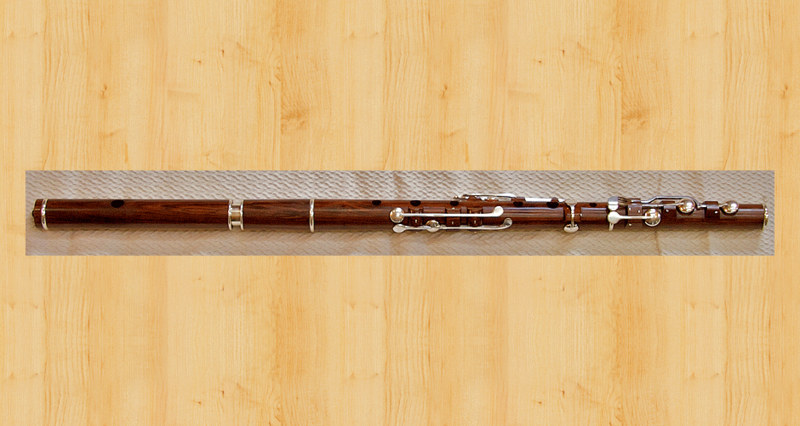 For flutes requiring three, four, five and six keys: add € 275.00 per key. Please note: six key flutes (or any flute needing an E-flat key) require a foot joint which will cost an additional € 150.00. 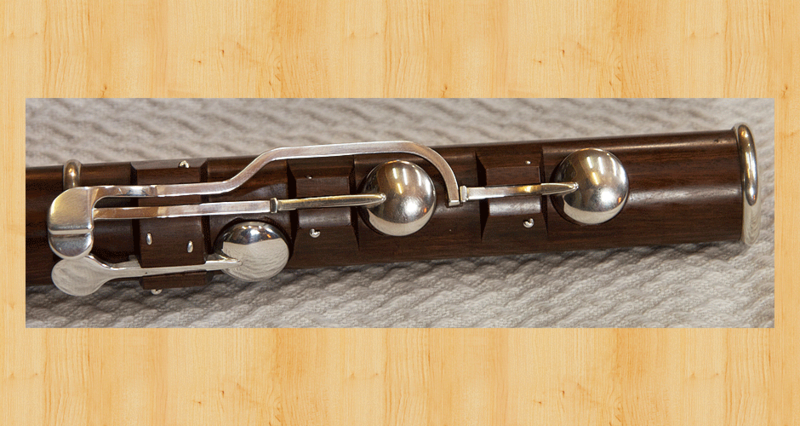 As an optional extra, Martin Doyle can add adjustable screw corks (that allow the pitch of the flute to be adjusted) to the headjoints of his keyed flutes and wooden headjoints for concert flutes. For prices kindly contact Martin Doyle. 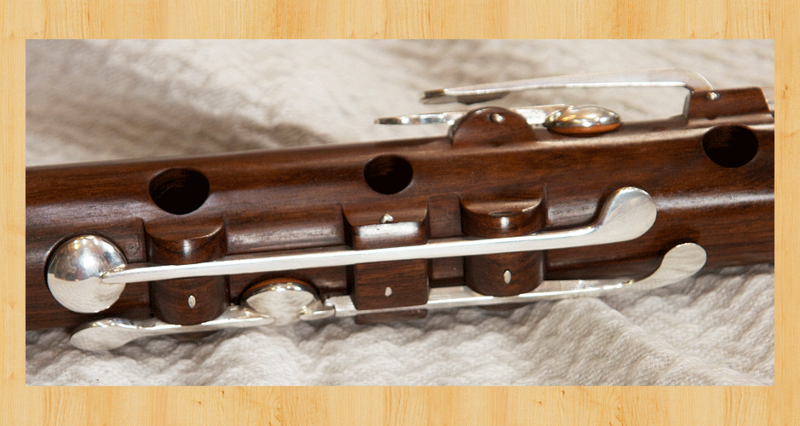 Wooden cases are standard with Martin Doyle's keyed flutes and cost an additional € 75.00.